These handmade and made to order necklaces will perfectly fit the Mom and Daughters in your life. Rustic chain is coupled with shell like beads. A mermaid tail sits in the center adding whimsy and embracing the adventure and bravery of these strong female symbols. 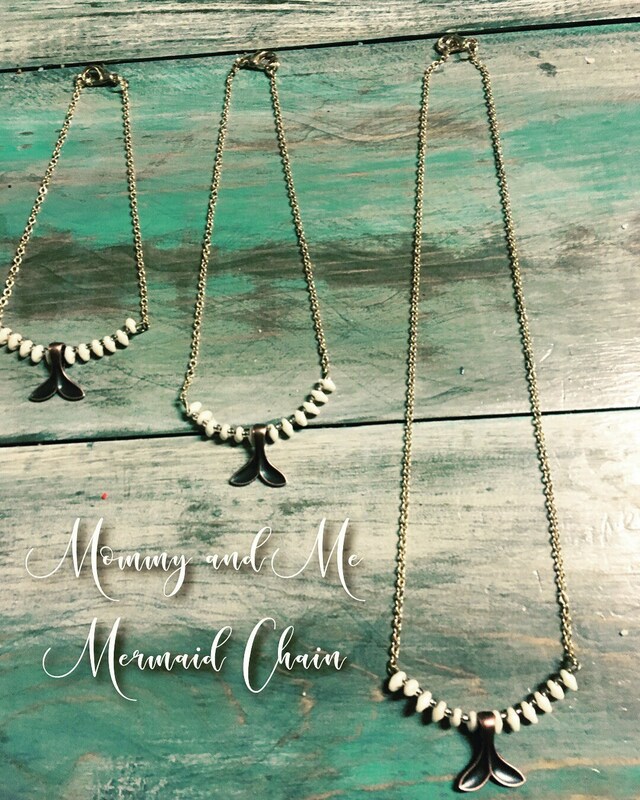 When the beautiful ladies in your life wear these necklaces they will be forever joined together and with the tribe of the ladies of the sea.